In the wake of a $50 million agricultural nuisance verdict against Murphy-Brown/Smithfield Foods, the world’s largest pork producer, in the U.S. District Court for the Eastern District of North Carolina in April, the North Carolina legislature took note and took swift action. According to NC State Senator Brent Jackson (R-Sampson), “North Carolina’s family farmers are under attack by greedy out-of-state trial lawyers, and recent rulings have stripped away the protections the right to farm law sought to guarantee.” Sen. Jackson sponsored NC Senate Bill 711, which amended the North Carolina Right to Farm statute to provide greater protections for farmers, including pork and poultry farmers, in response to the Murphy-Brown/Smithfield case. North Carolina SB 711 provided, inter alia, that: (1) any nuisance lawsuits against a farming operation of one year from the farm operation’s start or of a fundamental change in the farming operation; (2) any plaintiff in a nuisance suit must own the property impacted by the nuisance and that property must be at least ½ mile from the farming operation; (3) compensatory damages would be limited to property value loss and punitive damages would only be awarded if the farm had a criminal charge or code violation; and (4) most importantly, provided for repeal of an exception to the right-to-farm law when a nuisance results from negligent or improper operation of the farm. SB 711 was filed in May and passed by both houses of the NC legislature in June, before being sent to NC Governor Roy Cooper, a Democrat who narrowly defeated incumbent Republican Governor Pat McCrory in 2016, and who himself grew up working summers on his family farm in rural Nash County, North Carolina. Gov. Cooper waited until the eleventh-hour to veto the bill on June 25th, stating: “While agriculture is vital to North Carolina’s economy, so property rights are vital to people’s homes and other businesses.” The following day, the NC Senate voted in a bipartisan fashion, 37 to 9, to override the veto. Just a few hours later, on the morning of June 27th, the NC House of Representatives voted 74 to 45 to override the veto, and the bill became law as North Carolina State Law 2018-113. As suburban and exurban communities continue to extend further into rural farming communities, and wealthy urbanites seek out “weekend retreats” or “gentleman’s farms” in areas they wish to be “unspoiled” by actual farms, there will be more nuisance lawsuits by those who wish to deprive family farmers of the right to farm in our farming communities. Farmers and the companies who contract with them to grow the crops and raise the livestock that feed our nation must be protected. Agriculture is not just vital to the economy of states like Georgia, Texas, North and South Carolina, Alabama, and Florida, but it is vital to our nation. The attorneys of Hawkins Parnell & Young, LLP stand ready to fight for the rights of farmers’ and agricultural production companies and to protect them against nuisance suits that would seek to deprive our communities and our nation of this bedrock activity. 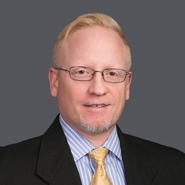 Todd C. Alley is a partner with Hawkins Parnell & Young, LLP’s Atlanta office. He is licensed in Georgia, Texas, and Florida, and practices in the firm’s environmental and toxic tort practice areas. Todd is a member of the American Agricultural Law Association and defends farmers and agricultural companies across the southeast in nuisance actions.